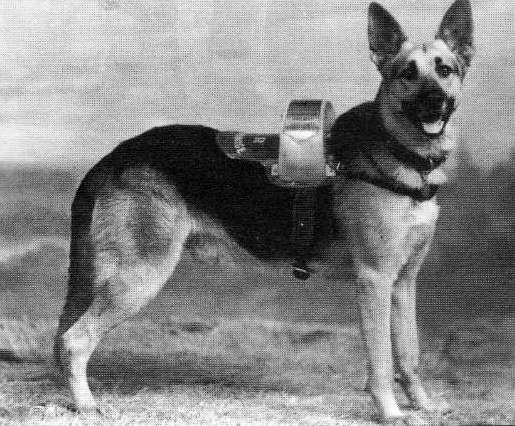 During the first half of the 20th century Waterloo was home to a succession of ‘Railway Collection Dogs’; faithful hounds who padded around the station’s concourse with money boxes strapped to their backs, into which charitable members of the public could pop a few pennies. 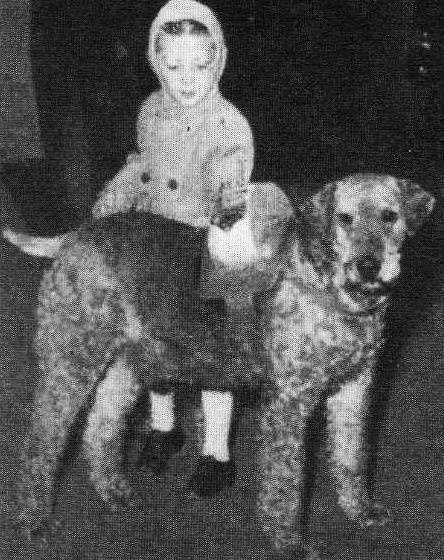 Waterloo’s most celebrated charity dog was ‘Laddie’, an Airedale Terrier who was introduced to Waterloo in 1949 to raise cash for a retired railway workers’ home in Woking, Surrey. Laddie patrolled Waterloo until his retirement in 1956, by which point he’d raised over £5,000; a very handsome sum for the time (approximate to £87,000 in today’s money). The faithful dog spent his final years at the Woking retirement home amongst the elderly railwaymen he’d done so much for. 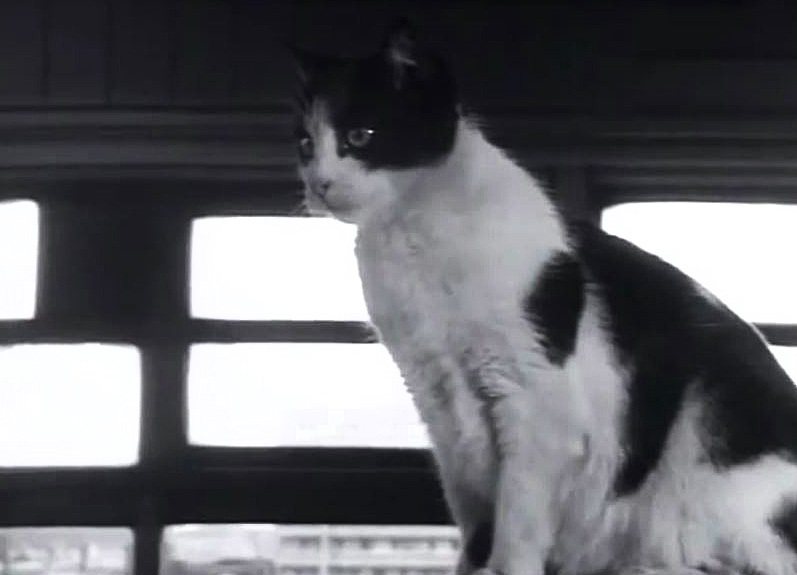 When Laddie passed away in 1960 he was stuffed and put on display in a glass cabinet at Wimbledon station where he remained until 1990. 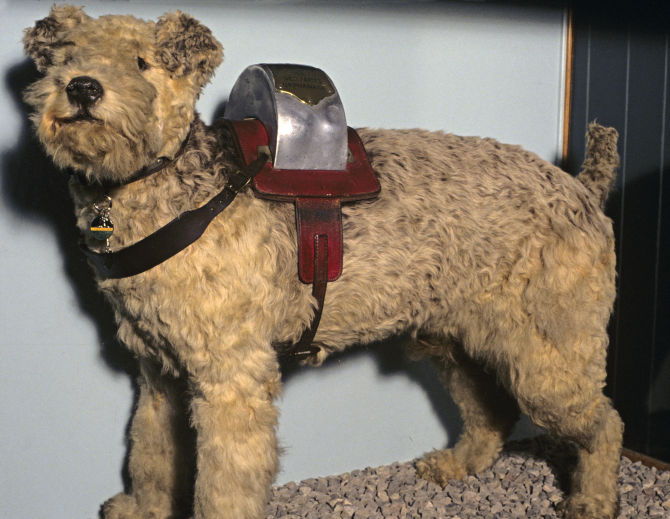 Today, he is kept by the National Railway Museum in York, complete with an original collection box. As well as dogs, Waterloo was once also home to approximately 40,000 bumble bees… whose hives were located 200ft up on the station’s roof! 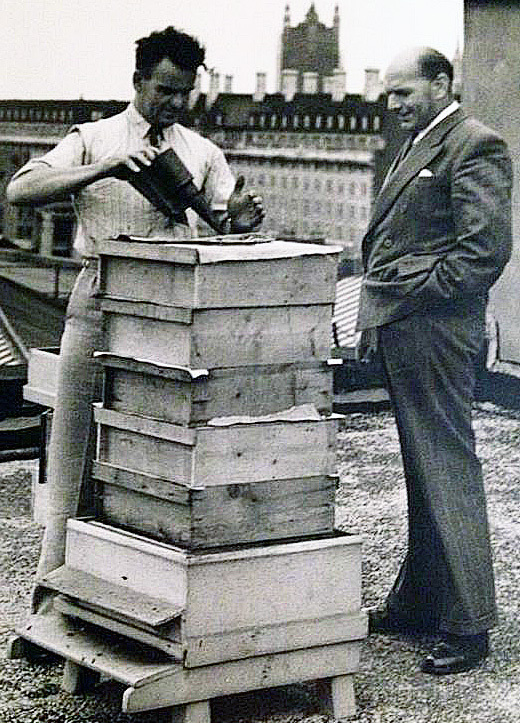 The bees were kept in the 1950s and 60s by Mr Wilfred Green, a railway worker who used the hives to make jars of honey for the Southern Railway’s Children’s Home in Woking (allied to the home for which Laddie the dog raised money). 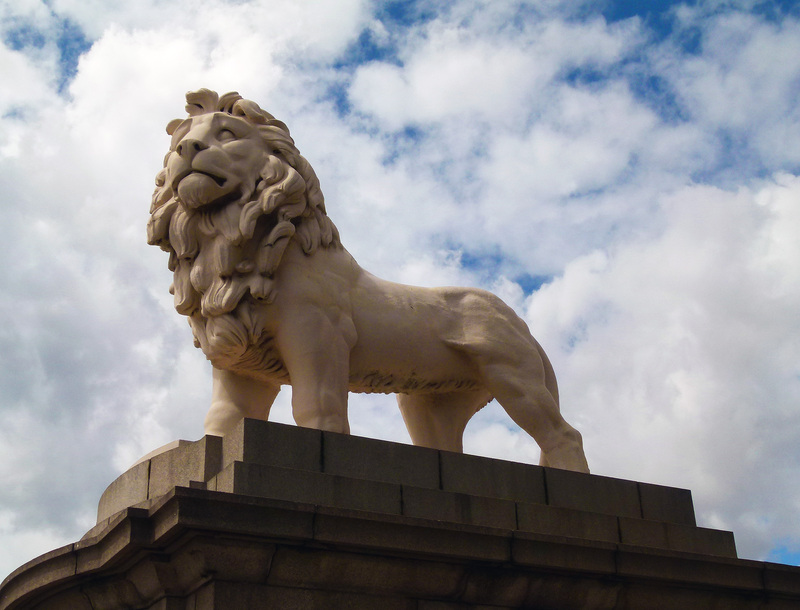 Weighing 13 tonnes, the lion dates back to 1837 when it was created by Warwickshire born artist, William Frederick Woodington as a grand mascot for the ‘Lion Brewery’; a distillery which once stood on the Southbank’s Belvedere Road. 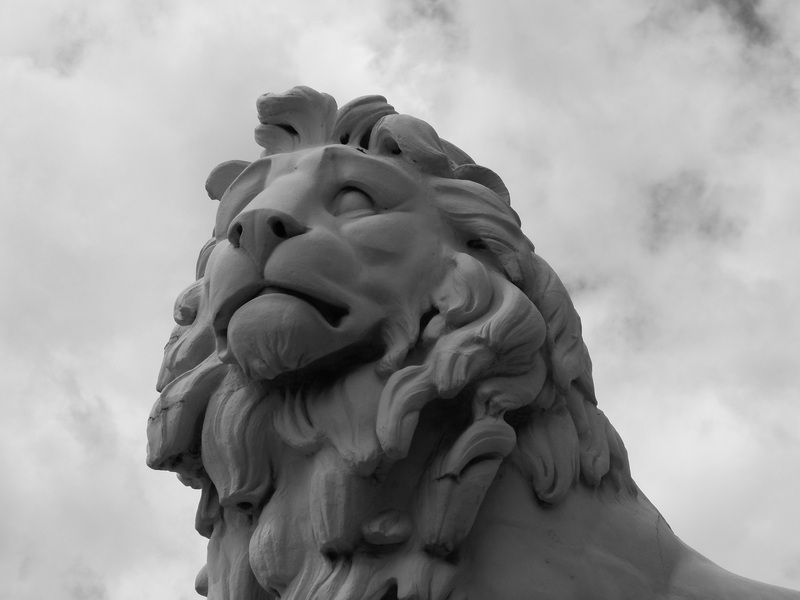 The lion is forged from ‘Coade Stone’; an artificial material which was perfected by Eleanor Coade in the late 18th century. Fired in a kiln over a period of several days, Coade stone is a very tough substance, famously immune to the onslaught of pollution… which means it always looks sparkling clean. 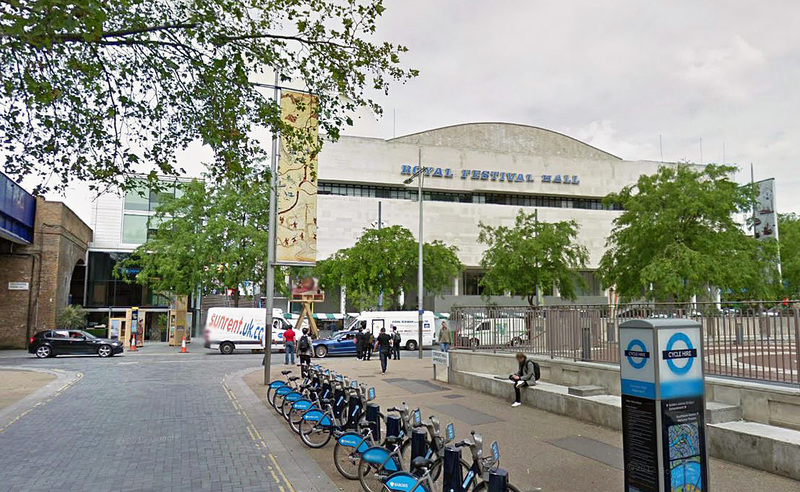 Like the Lion Brewery, Eleanor Coade’s factory was also located on the Southbank- the site today is now occupied by the Royal Festival Hall. 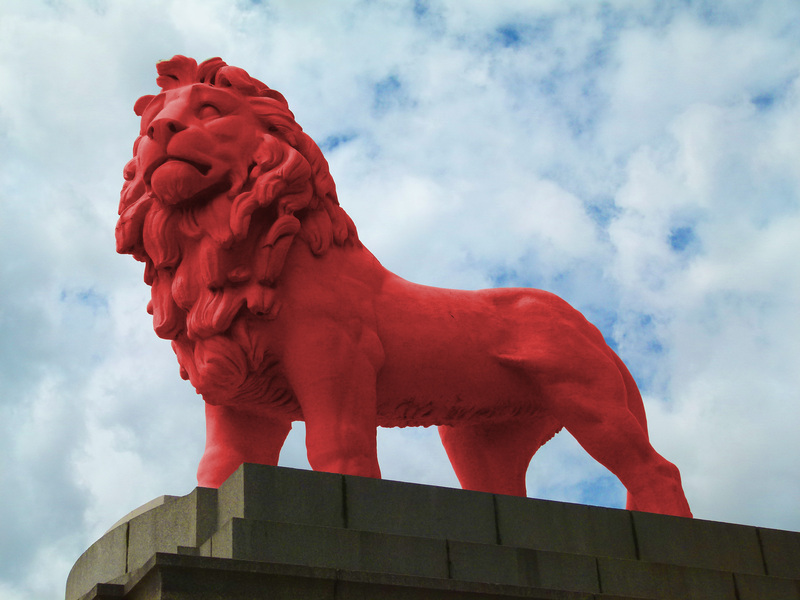 The Coade Stone Lion, back in red as it once appeared…thanks to the wonders of photo manipulation! 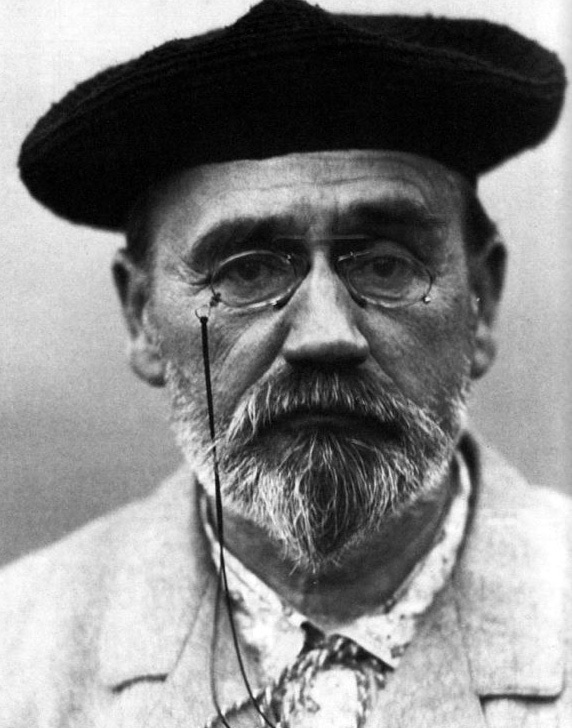 An early admirer of the sculpture was French writer, Emile Zola who was delighted to see the hefty statue “poised in mid-air” atop its high arch. Years later, Zola made a special return visit to the site to view the statue- which he affectionately referred to as “my lion”- one last time. 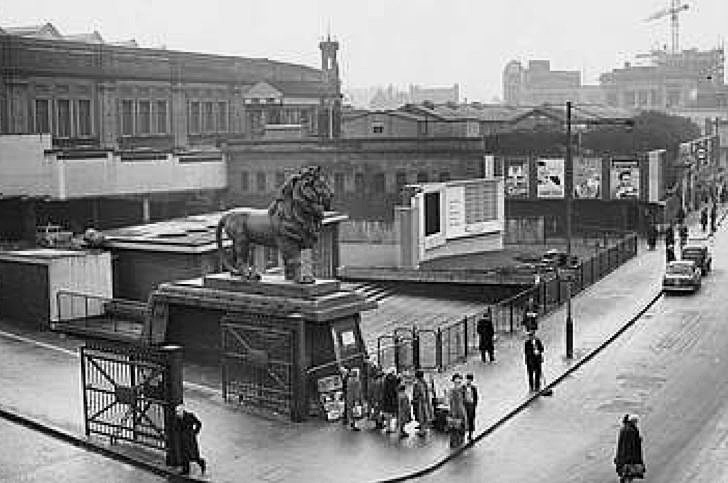 In 1949, the Lion Brewery was demolished and the land passed over to the development of the 1951 Festival of Britain. 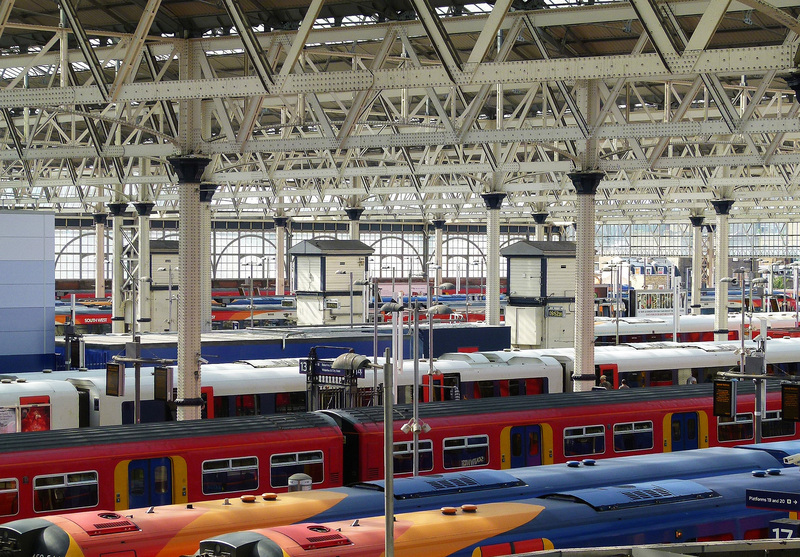 At the request of King George VI himself the lion was saved… and adopted by Waterloo Station where, with its red coat (the colour then associated with the newly nationalised British Railways) it was able to continue as a corporate mascot. 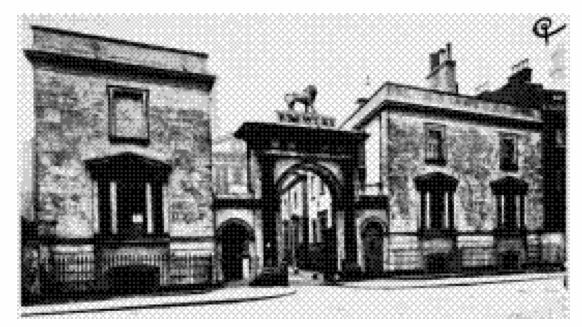 During its time at Waterloo, the lion stood outside the York Road entrance, a short distance from the station’s Victory Arch entrance. 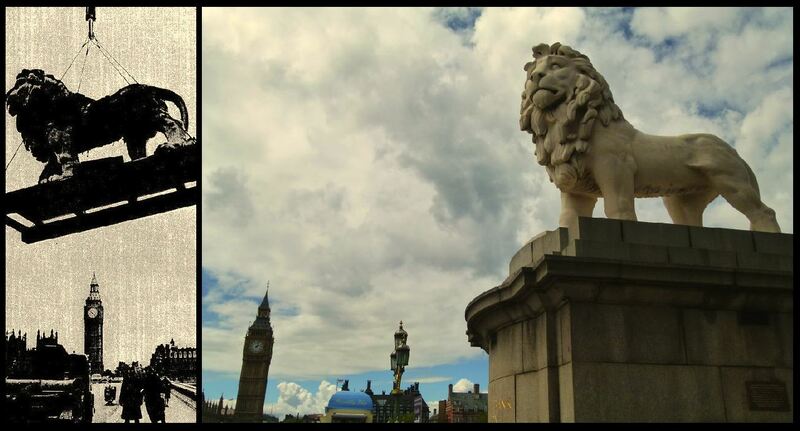 After being displaced by the modernist office slab, the Coade Stone Lion (also known today as the ‘Southbank Lion’) had its red paint removed and was shifted to its current site… the north-eastern foot of Westminster Bridge, right between the Houses of Parliament and the London Eye. 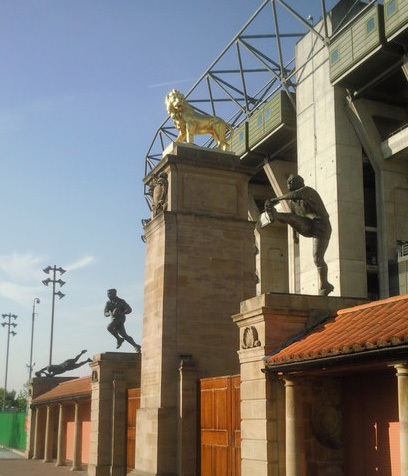 The lion has a twin which once also adorned the former brewery… this partner can now be found at Twickenham rugby stadium’s west gate, standing proud in a coat of gold paint. The piece was created in 2000 by Kendra Haste, a renowned artist who specializes in creating animal sculptures from wire. 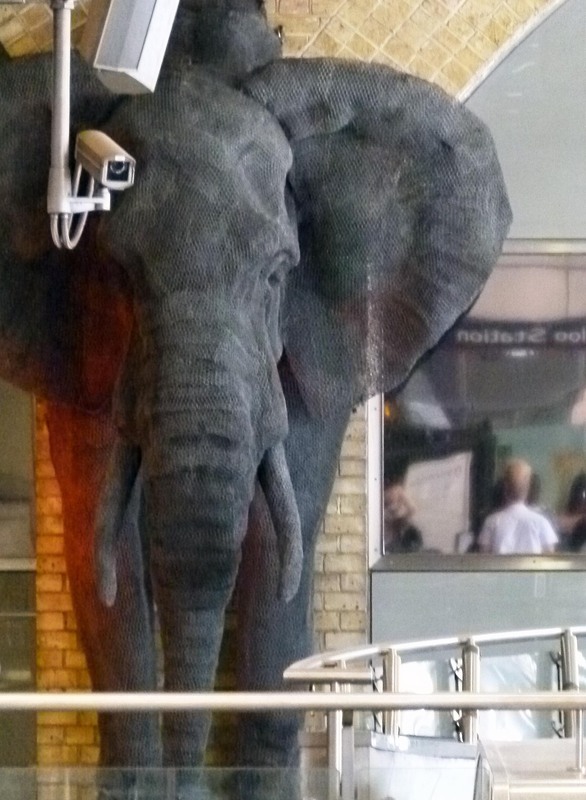 The little fellow pictured above can be found hiding behind a cheerful statue of the artist Terence Cuneo which stands close to Waterloo’s Victory Arch entrance. Born in London in 1907, Terence Cuneo studied at the Slade School of Fine Art and began his career as an illustrator for books and magazines. 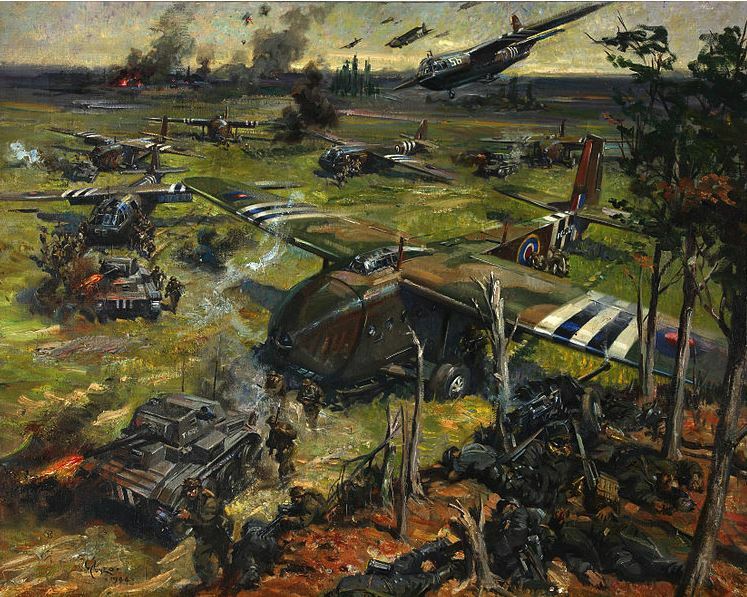 In WWII, he served with the Royal Engineers and also carried out work for the War Artists’ Advisory Committee, creating a number of works depicting scenes from the conflict. 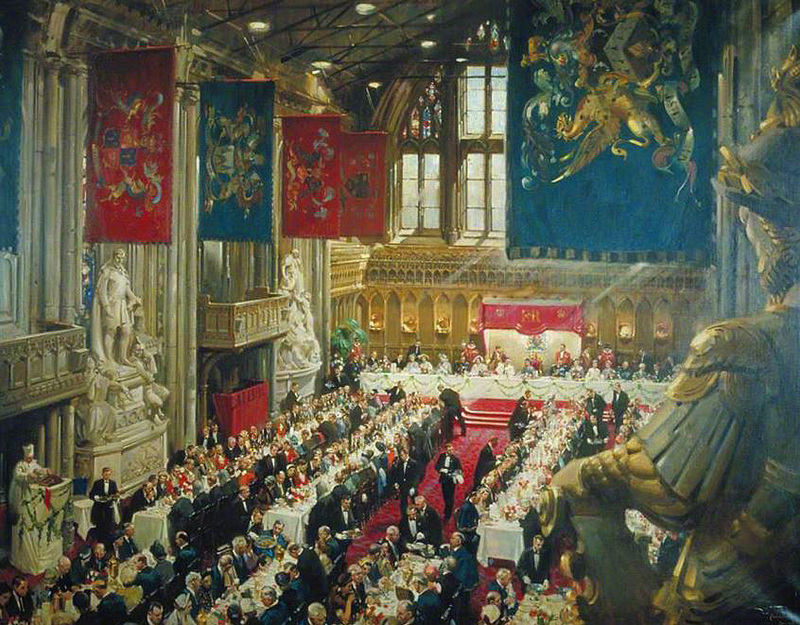 Cuneo was an expert at capturing fleeting moments in painstaking detail, a skill which led to him being appointed the official artist for Queen Elizabeth II’s coronation in 1953. As well as his wartime paintings and Royal commissions, Terence Cuneo was especially renowned for his paintings of railways… a selection of which can be viewed in the slideshow below. 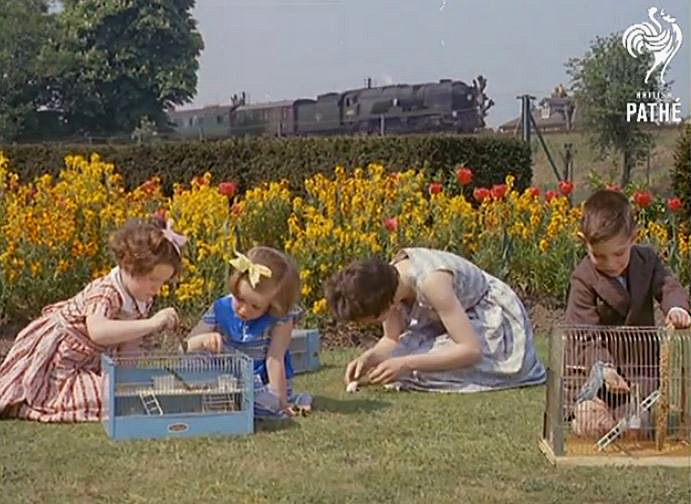 Terence had a very playful personality and crafted many fine toys for his two beloved children- including a full-size roundabout and a miniature railway which trundled around the garden. 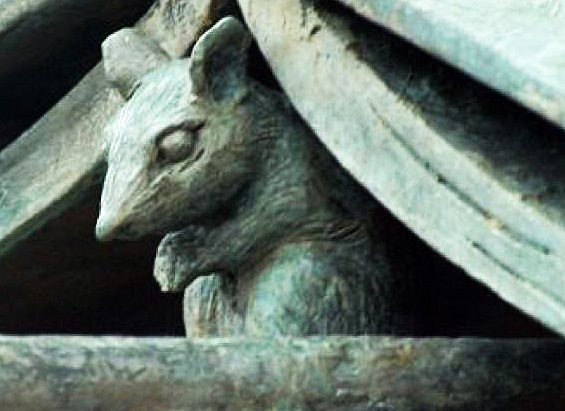 His sense of mischief extended to his paintings, which are famous for their inclusion of a trademark little mouse, often very well hidden….rather like an early version of ‘Where’s Wally?’… hence the wee rodent included in the Waterloo statue. Spotting the mice within his paintings can be quite a challenge! 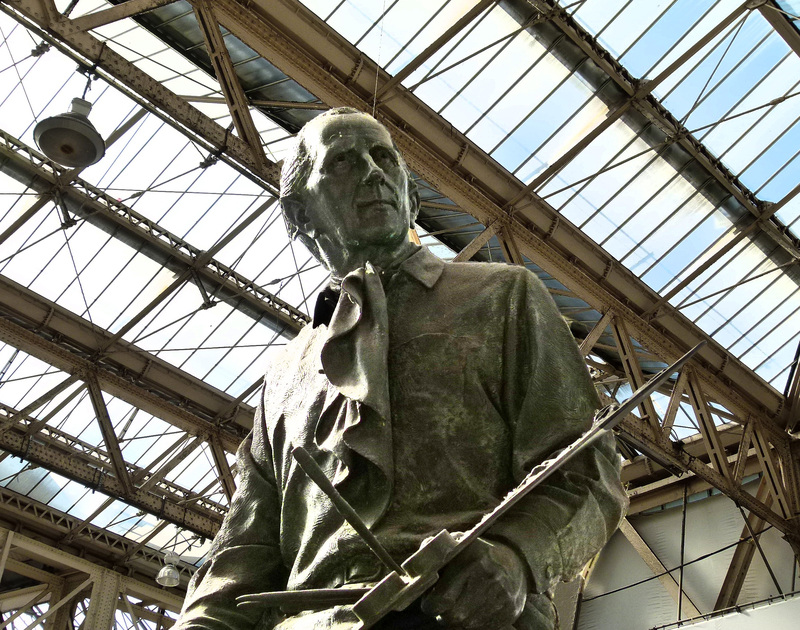 Terence Cuneo passed away in 1996 and his statue, sculpted by Philip Jackson, was unveiled at Waterloo station in 2004. 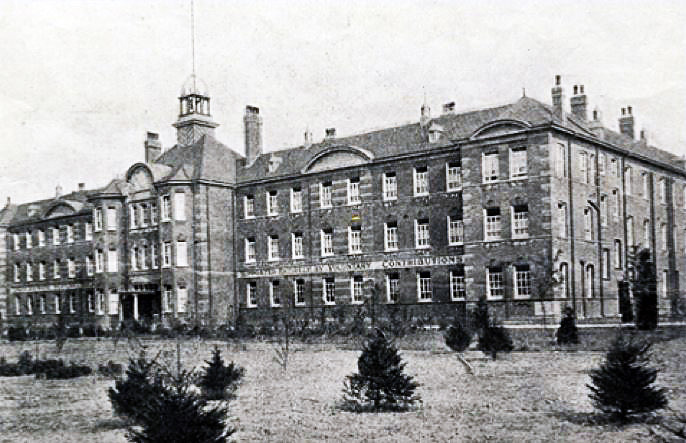 More Waterloo trivia to follow soon…. I remember the dogs with their collection boxes….I was always given a penny to put in. That’s so kind of you to say, thank you very much! My pleasure, John thank you so much for sharing your memories. I love the clip on the bees. 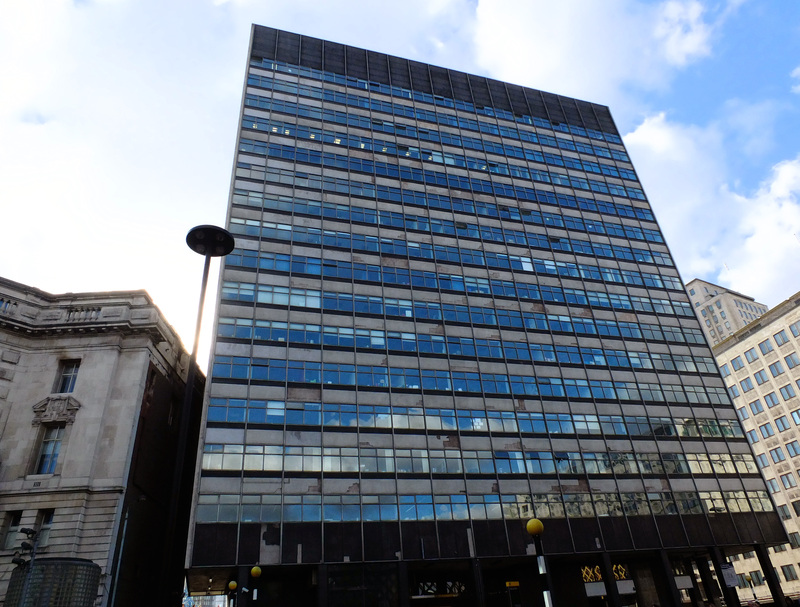 Mr Wilfrid Green was my late father, I well remember as a child being taken up to the roof to see the bees.